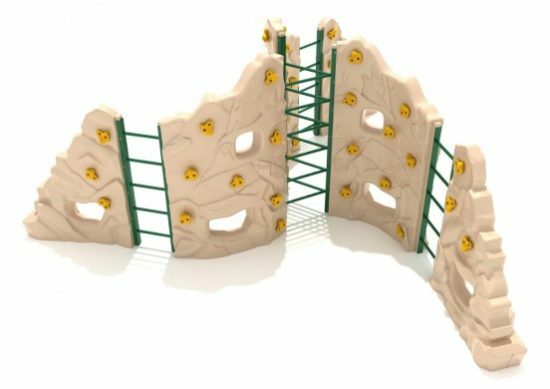 The Craggy Mantle play structure will challenge children as they climb the rock walls and ladders that make up this play structure. A triangle of vertical ladders make up the center of this play structure, from the points on the triangle branch out rock walls that curve to form a spiral-like shape of the Craggy Mantel play structure. 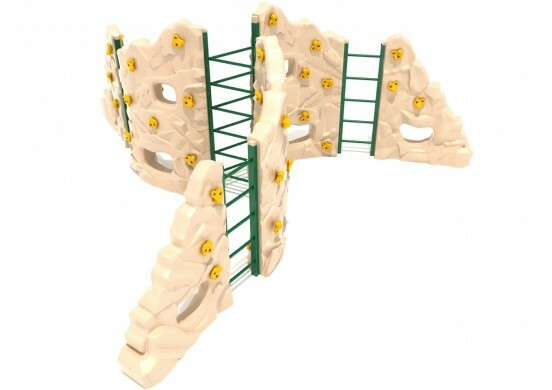 A vertical ladder branches off of the end of each of the climbing walls, and a smaller rock climbing wall connects to each of the vertical ladders. 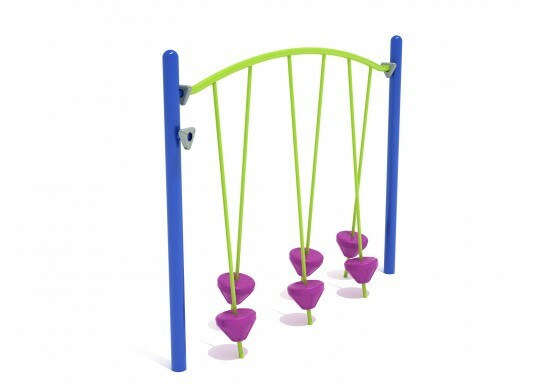 Children will test their strength agility, and coordination as they climb all over this play structure. This play structure has a fall height of 7 feet 4-½ inches, and it weighs a total of 1,300 pounds. This play structure has a safety zone of 29’ x 30’. 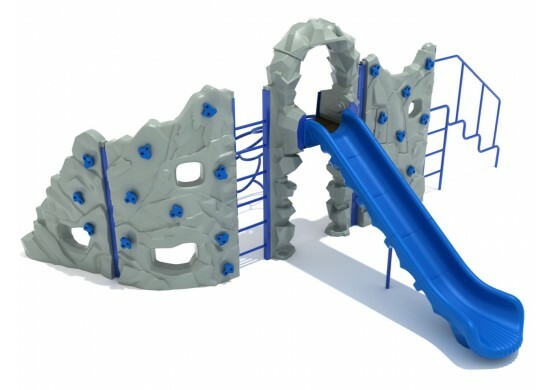 The Craggy Mantle play structure is designed for children who are between the ages of 5 and 12 years old.